6 May 2018 marked the final El Clasico match for the 2017/18 La Liga League. The match did not go quite as expected but it was filled with excitement and breath-taking performances by both clubs. The match started off with both teams not having much to lose or much to gain, but it is safe to say that both teams might be happy with the final results. The first half started off with both teams looking to be victorious and crowned Spain’s best football club. However, with goals flying in from both Suarez and Ronaldo in the first half, the match went into the break with a draw. The goalkeepers of both sides were hard at work as shots were flying at their posts. The first half ended with an injured Ronaldo, as he was fouled by Piqué when attempting to give Real Madrid the upper hand. While Madrid tried to silence the fans at Camp Nou, Barca was fighting to give the crowd something to cheer for. 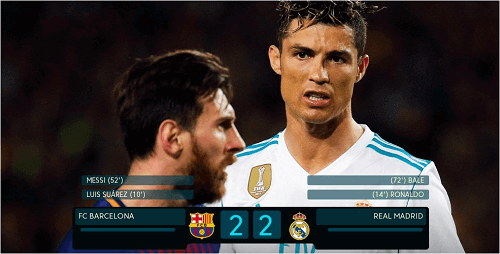 The second half commenced with a Ronaldo-less Real Madrid, but this did not stop the Spanish giants from attempting to win. Ronaldo was replaced by Asensio in the second half, who tried his utmost best to give Madrid the advantage. This came to an end after Messi had a crack at goal and placed the ball firmly in the nets of Navas. However, the Barcelona reign did not last long; Gareth Bale, flew one past Ter Stegen to bring Madrid back into the game. The match was so intense at this point that if you blinked, you would’ve missed something spectacular. The match drew to a close with both teams being past the point of frustration which saw Barca receive one red card, resulting in them playing with ten men. Players were booked from both teams after a number of frustrating fouls were committed. Although Barca played with ten men left on the field, they managed to keep Madrid from walking away victorious. The game ended in a 2 – 2 draw and had fans on their toes for the next season so that these teams can settle the score. Now Barcelona has three La Liga matches left after already being crowned the La Liga champions. Real Madrid still looks to take home the UEFA Champions League cup, but we wonder how far they will come with an injured Ronaldo. 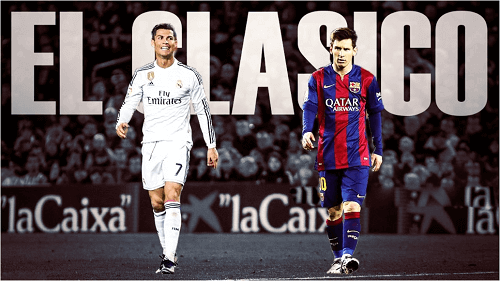 For sports bettors who seek more information on the El Clasico and the UEFA Champions League, we urge you to keep it locked here at Onlinepokies.site. BIG IS THE NEW BIG AT CRAZY VEGAS CASINO!